When an EF-5 tornado is heading towards you, where would you want to be? 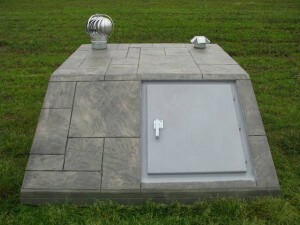 In an above ground safe room steel, or below ground shelter? That is a personal preference and it depends on who you ask. People just grew up with people going underground, but technology has developed. 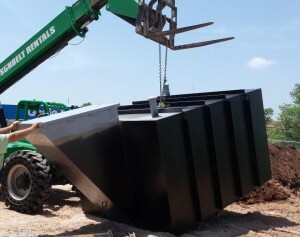 Videos of safe room steel and shelters getting tested at Texas Tech’s National Wind Institute shows that change. But what about the issue of being stuck inside after the storm? The underground shelter door slides open. 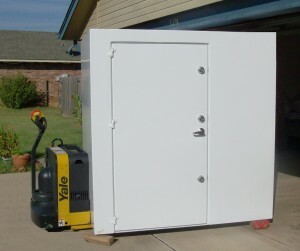 But studies show that above ground safe room steel doors are safer, because they open inward or outward and you could crawl out over debris. It’s virtually impossible to get trapped inside a Safe Room. 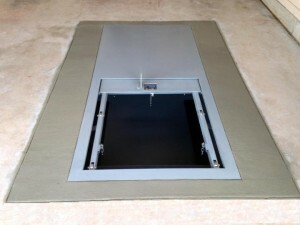 At Safe Rooms US our design meets and exceeds FEMA guidelines. We have also passed the Texas Tech Impact Test. 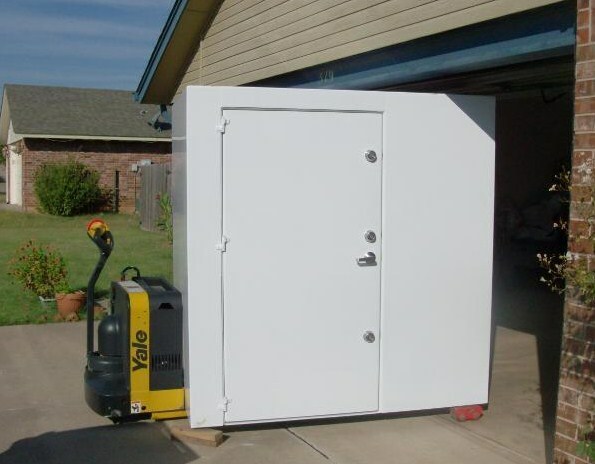 When we install your Safe Room we use anchor bolts every 12″. Our Safe Room has a steel floor and when we attach it to the slab it makes it a more secure hold. Each of our anchor bolts have 10,000 pounds of sheer strength.